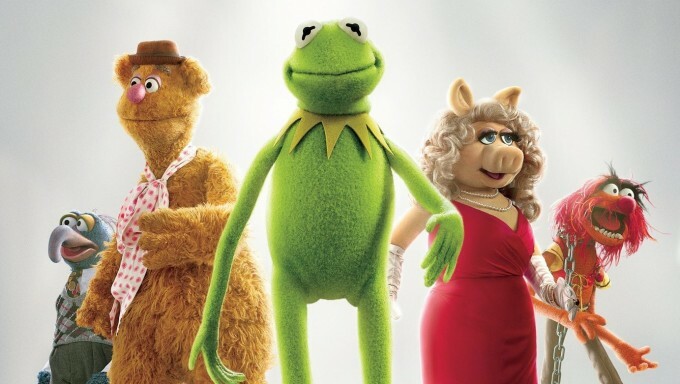 This is a Muppet News Flash… Easily the most satisfying news story of the past week has been Jim Henson’s beloved puppet creations Kermit the Frog and Miss Piggy hitting back at Fox News during a London press conference. Last year Fox Business commentator Eric Bolling accused the new Muppet movie of brainwashing children with a dangerous liberal agenda because the villain Tex Richman is a greedy oil tycoon who wants to tear down the Muppet theatre to drill for oil. Apparently this is clearly anti-capitalist propaganda. After all if there’s one vulnerable group that needs protecting from the vicious rage of 8 year olds it’s clearly the multi-billion dollar global oil industry. While in London promoting the new film Kermit tried to diffuse the controversy by joking about the fact the Muppets spend much of the film driving around in gas guzzling Rolls Royce. But never one to be upstaged, the ultimate diva Miss Piggy remarked that the Fox news allegations were “Almost as laughable as calling Fox News… News!”. Everyone from Time magazine to broadcasting rivals CNN ran the story, with a certain sense of glee. The best part is that Fox has no way out; it’s a war they simply cannot win. If you attack adorable puppets you look mean. If they actually hit back at you then your allegedly serious major news network has just been ridiculed by a talking sock with googly eyes. Match point Muppets.